Over the weekend I decided to pick up one of the ARCs I had received when I attended the OLA Super Conference. 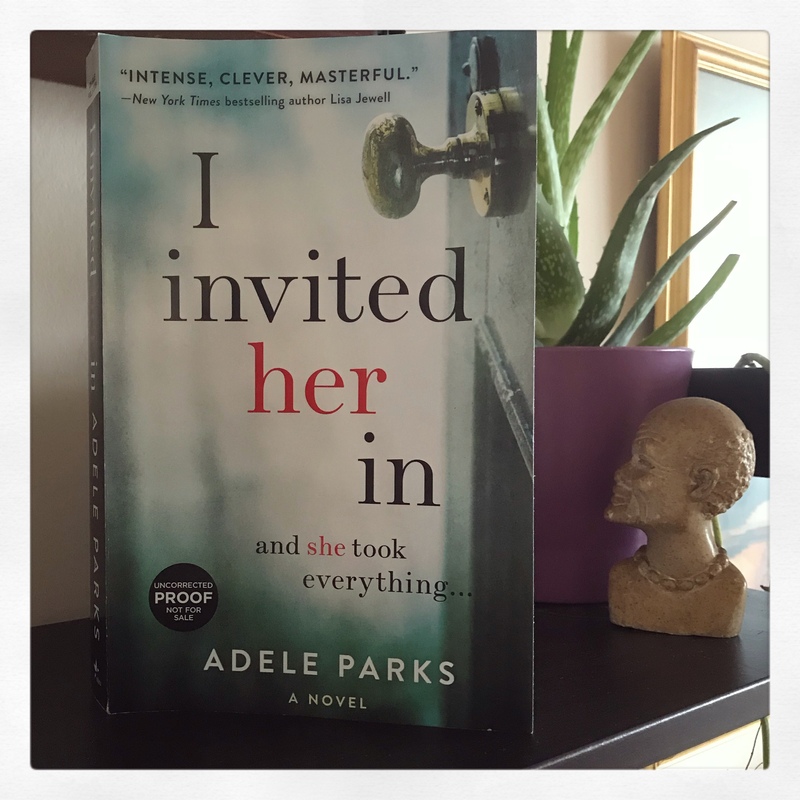 I chose I Invited Her In by Adele Parks because I had seen mention of this novel on social media and I was curious about it. In addition, I always enjoy reading a good thriller. I Invited Her In is a blistering tale of wanting what you can’t have, jealousy, and revenge. The story is told from four different points of view: Mel, Abi (Mel’s friend), Ben (Mel’s husband), and Liam (Mel’s son).As expected with so many different points of view, the background story takes a while for the reader to learn. After reading a third of the story, I do admit that my interest was lagging a little and I could not wait for something to happen. I knew there had to be a catalyst as the novel had been described as a suspense story. It just seemed to take a long time to happen. About halfway through the novel, the change of pace occurred. From that moment on, I turned the pages quickly and became engrossed in the story. Whereas before the catalyst I was feeling some annoyance at Mel’s behaviour and a little frustration at the slow pace of the novel; after reaching the mid-point I felt an entire range of emotions: disbelief and anger being the foremost. I do not want to say what caused my anger as it will give the story away but it is enough to say that I know of two women who have experienced some of the unpleasantness of what Mel experiences in the story – and I relived the anger and disbelief that I felt on their behalf. Even though I found the novel slow-going at first, I was later gripped by the story and could not put it down (luckily I did not have to go in to work on the day I completed it). It is a novel that reflects what happens to some women and I cannot help but wonder where the author found her inspiration I Invited Her In is a novel that may sound far-fetched to some; but it is a novel that reflects a partial truth of what may be happening in many families. If you enjoy reading suspense within a family setting, this is a perfect novel for you. I recently downloaded this book and I’m eager to read it. Thanks for sharing; I am imagining the unpleasantness, as I have had horrible experiences with housemates. I would love to hear what you think when you reach the turning point in the novel. It will be harder to bear than you imagine. Good review. I’ve looked at this one a couple of times lately.